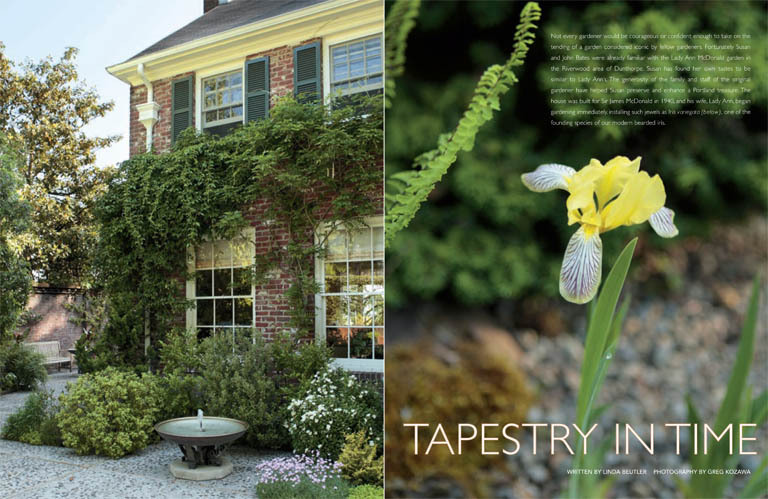 When Susan and John Bates purchased their home in Portland’s Riverwood neighborhood in 2002, they knew that its garden came with some serious horticultural credentials. Its original gardener, Lady Ann McDonald, was the no less accomplished sister of renowned Portland plantswoman Jane Platt. 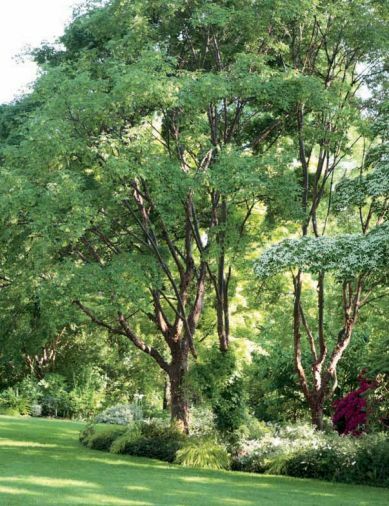 Only rarely can serious gardeners delight in a mature grove of Acer griseum, the paper-bark maple. This slow-growing tree sheds its bark, revealing a smooth, shiny rusty-red surface which glows on cold winter days. The trunks are particularly showy in the snow. The maples are regularly thinned to minimize wind damage and to allow dappled light to reach the garden floor. 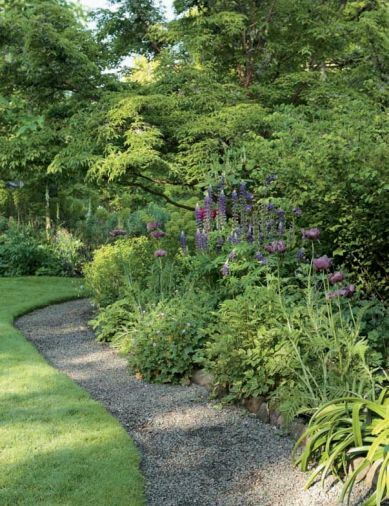 Susan Bates has wisely outlined the perennial borders with a wide fringe of gravel, so that she and her guests can give flowering plants a close inspection. Easy access to plants makes their maintenance easier. The gravel also saves wear and tear on the lawn, and keeps mowers from nicking precious plants. The packed gravel provides firm, non-muddy footing. 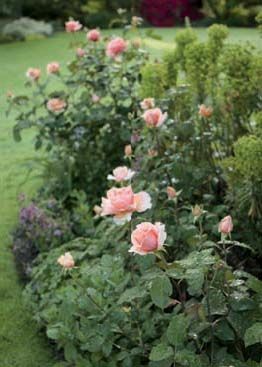 The garden’s gravel edges merge into stone paths leading to planting beds down the east-facing hillside, where long-blooming sun-lovers like Rosa chinensis ‘Mutabilis’ thrive. 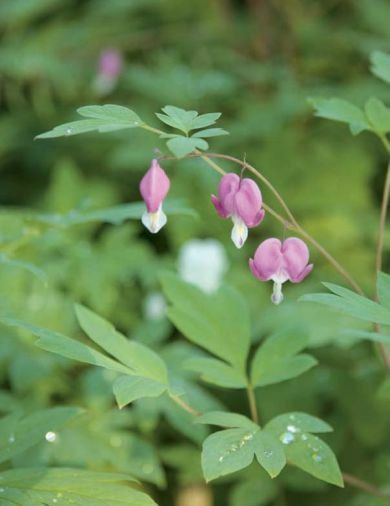 Old-fashioned spring ephemerals like European bleeding heart were already part of the garden when the Bates arrived. The area known as “the grotto” was installed by Susan to solve a lawn maintenance problem: too much shade and compacted soil. Why force lawn where it doesn’t want to be? 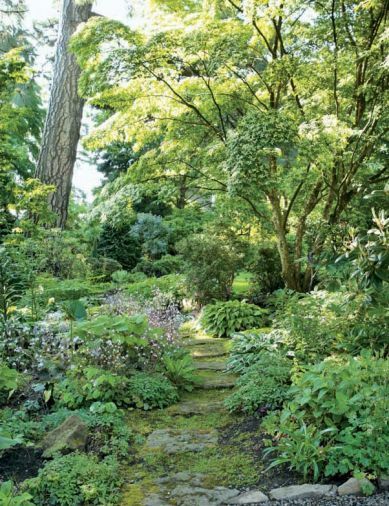 The stone path is flanked by shade-loving plants including saxifrage, several hostas, Lenten roses (Helleborus x hybridus), and Susan’s new collection of Arisaema calsoital species. 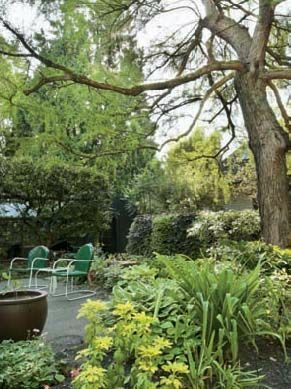 A bald cypress, Taxodium distichum, presides over a seating area outside the southwest corner of the house, a part of the garden Lady Ann McDonald called her “Chilean garden,” where she grew South American plants. 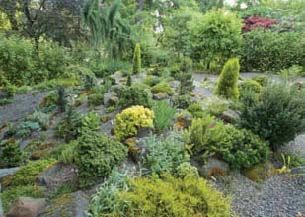 Susan Bates has taken the opportunity to enlarge the too small rock garden, adding choice miniature conifers from local sources. She has also found dwarf rhododendron species that appreciate the morning sun and afternoon shade. Not every gardener would be courageous or confident enough to take on the tending of a garden considered iconic by fellow gardeners. Fortunately Susan and John Bates were already familiar with the Lady Ann McDonald garden in the Riverwood area of Dunthorpe. Susan has found her own tastes to be similar to Lady Ann’s. 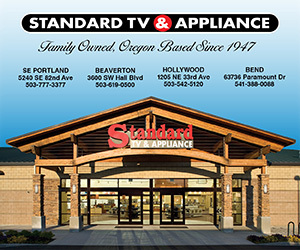 The generosity of the family and staff of the original gardener have helped Susan preserve and enhance a Portland treasure. The house was built for Sir James McDonald in 1940, and his wife, Lady Ann, began gardening immediately, installing such jewels as Iris variegata, one of the founding species of our modern bearded iris. 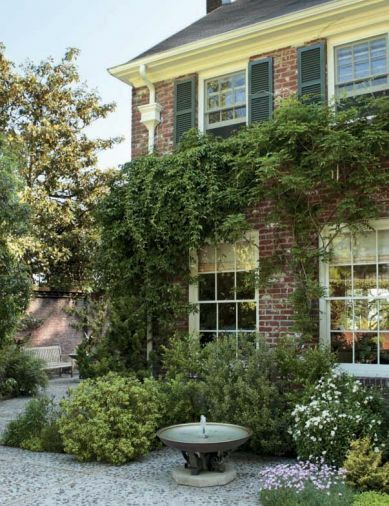 When Susan and John Bates purchased their home in the Riverwood neighborhood in 2002, they knew that its garden came with some serious horticultural credentials. Its original gardener, Lady Ann McDonald, was the no less accomplished sister of renowned Portland plantswoman Jane Platt. Both had grown up in the garden their father, Peter Kerr, created, known originally as Elk Rock, and just as often called Bishop’s Close—now the seat of the Oregon Archdiocese of the Episcopal Church. In 1940 Sir James and Lady Ann built their home an easy walk from the Kerr estate, and Lady Ann began gardening. Although perhaps not as artistic as her sister, Lady Ann McDonald had a keen eye for plants, especially flowering woody shrubs such as tree peonies, roses, rhododendrons, and hydrangeas. Lady Ann did not hold her garden open to public view as readily as her sister Jane did, but word of its beauty spread. Her gardening friends were always welcomed. Lady Ann never employed garden designers, she just placed plants where she thought they would be happy, without keeping a journal, a file of receipts, or a garden map. She did employ keen helpers, like plantsman and garden historian Jay Miner. Jay worked for Lady Ann for 25 years, and also assisted at Jane Platt’s garden, where he helped document the still famous Platt Garden after Jane died in 1989. Armed with her own love of plants and friendship with the Kerr and Platt families as well as Jay, Susan and John didn’t need much coaxing to buy the house and garden. John will quickly tell you that it is Susan who is the gardener, not he, but it was at his suggestion that the Bates’ took their first departure from tradition, removing overgrown rhododendrons from the foundation around the house. Even if these shrubs had been “limbed-up” to turn them into small trees, their massive trunks still would have blocked most of the views of the back garden, darkening the entertaining areas like the formal dining room. Susan admits to being “scared to death” the first year she was in the garden. She brought several beloved plants, such as Rhododendron ‘Night Editor,’ from her former garden, only to learn there were already two specimens of the same thing in Lady Ann’s garden. Initially she was given some advice that she now wishes she had not taken, to remove a towering and floriferous Magnolia denudata, notoriously shy-flowering when young, because it was feared the tree was about to bloom itself to death. Now she wonders if the tree was actually just really happy and finally mature enough to put on a regularly tremendous show. It was promptly replaced by a new magnolia, but Susan still wonders. Because of the lack of comprehensive documentation of the garden, Susan welcomed gardening friends to help her identify those plants she didn’t know. 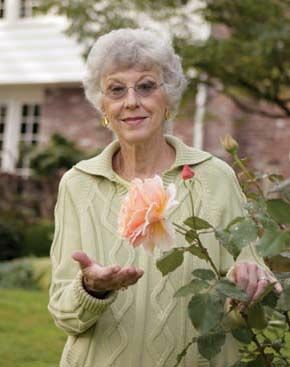 Susan is not a rosarian, and Lady Ann McDonald was, so the many roses wanted sorting. Susan is not convinced that they all need to be kept, as many are showing signs of deteriorating as other shrubs and trees mature, casting too much shade. Roses need plenty of sun to bloom well and remain disease free. Recently an old garden rose, ‘Austrian Copper,’ was replanted when Jay found evidence that it had once been grown by Lady Ann, but its susceptibility to black-spot has become quickly apparent, leaving Susan to believe that is why this rose was already gone when she arrived! Susan sees the maturing of Lady Ann’s shrubs as an opportunity not a burden, and is adding more shade-loving plants under them. She has begun collecting the many species of Jack-in-the-Pulpit, in the genus Arisaema. Their striking flowers are followed by equally distinctive foliage, which can be boldly shaped and brightly variegated. These are a welcome addition to the old-fashioned spring ephemeral bulbs that were already in the garden, including hardy cyclamen and trilliums. Like many modern gardeners, she has fallen hard for Lenten roses, Helleborus x hybridus, which need partial shade and flower in late winter. 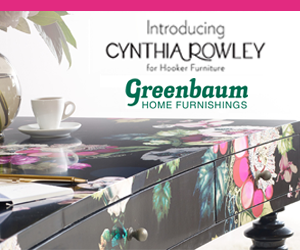 To augment the mature collection of hybrid tree peonies, Susan is indulging in her love of intriguing peony species. She has also increased the rhododendron collection with the addition of tiny species and hybrids which are enjoying her expanded rock garden, now large enough to include sun-lovers as well as choice dwarf conifers and the “rhodies,” which appreciate afternoon shade. Susan has a fine time swapping plants with local nurserymen who find rarities in her garden they would like to propagate and return to commerce. They bring Susan more treasures in exchange. There was only one path through the garden when Susan and John arrived, and swaths of lawn in high traffic areas wore thin, making the garden look shabby. Susan has wisely outlined the main planting beds with gravel paths, so the most accessible parts of the garden can now be examined up close without muddying feet or trampling the turf. Like its neighbor at Elk Rock, the garden meanders down a hillside overlooking the Willamette River, and paths have been installed to curve around outcrops of root and rock, where Lady Ann’s gardeners use to search for nooks to accommodate new plants. Susan is enlarging the hillside plantings as the expanding irrigation system allows. She is also experimenting with plants that tolerate little water and unimproved soil. These are placed beyond the reach of supplemental water. 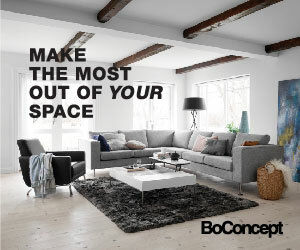 To most visitors these transitions of style do not seem earth shattering, and some alterations might even go unnoticed, but at the front of the house, big changes happened that a few found alarming. The gappy arborvitae hedge was replaced by large-leafed boxwood, which is clipped to curve at the top for a softer profile. The house sits rather forward on the property, and the narrow front entry was crowded at one end by a round glass and brick gazebo. Again it was John who suggested that this area be opened up by the removal of the brooding, hard to clean gazebo roof, leaving the chest high brick walls, which have become a natural shelf for pots of draping summer plants, such as Fuchsia ‘Autumnale’. The built-in brick shelf inside the circumference of the old gazebo showcases Susan’s collection of Auricula primroses, and also protects them from excessive rain when they are placed under it for the winter. Some of Lady Ann McDonald’s die-hard fans complained of this change, but the courtyard that now takes up most of the street-side garden consorts nicely with the tidy house front, leading visitors naturally around the north end of the house and into the much larger back garden. The gazebo did have one charming feature, a beautifully wrought weather vane composed of a hummingbird at a flower, certainly a finial well worth preserving. Susan and John have had this converted to a sculpture which anchors a new island bed in the back garden, easily visible from the breakfast nook. This new planting area is called “the bird garden,” in honor of their handsome hummingbird, and is surrounded by a planting of alliums, the ornamental onions, a genus which Susan greatly admires. As the ornamental onions die back after their show in May and June, Japanese forest grass grows up to cover their decaying foliage. Susan’s saving of the hummingbird weather vane can be read as a metaphor for the successful transition of stewardship for this historic Portland garden. Susan and John Bates have improved the accessibility, at the same time enhancing the interface with the house. The expression of Susan’s creativity has not clashed with the garden’s history, in part because her tastes have blended so fortuitously with the preferences of the original gardener. With the help of the garden’s longtime friends, Susan has gained mastery of its future. If anything, the hummingbird is enjoyed even more now than ever before. Instead of perching atop a decaying folly, it has been given pride of place, admired by visitors every time the garden is open for tours, as it often is. Because this jewel in Portland’s crown of gardens is no longer hidden, do take the very next opportunity to experience what has become the Bates Garden.